Sweden, officially the Kingdom of Sweden, is a Nordic country on the Scandinavian Peninsula in Northern Europe. It is surrounded by Norway (west), Finland (northeast), the Skagerrak, Kattegat and Öresund straits (southwest) and the Baltic Sea (east). It has maritime borders with Denmark, Germany, Poland, Russia, Lithuania, Latvia, and Estonia, and it is also linked to Denmark (southwest) by the Öresund Bridge. It has been a member of the European Union since 1995. Its capital city is Stockholm. Gothenburg, or Göteborg, southwestern Sweden. The country's chief seaport and second largest city, it lies along the Göta River estuary, about 5 mi (8 km) above the Kattegat. 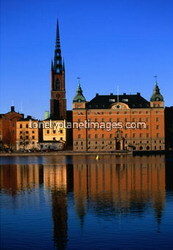 Founded in 1603, the city was destroyed in the Kalmar War with Denmark (1611 – 13) but was refounded in 1619. Many of the early inhabitants were Dutch, who built urban canals and laid out the city centre. A prosperous period began with the completion of the Göta Canal (1832) and the start of a transoceanic shipping service. It retains some historic architecture, and a moat still encircles the old part of the city. The port's principal exports are automobiles (Volvo), ball bearings, and paper. 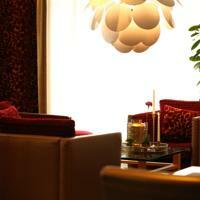 Offering modern conveniences, Apple Hotel welcomes you to stay in Gothenburg and to discover all that it offers. This property is conveniently located, only 5 minutes drive from city centre. The hotel offers 114 comfortable rooms that are equipped with modern amenities. Enjoy delicious buffet breakfast in the lovely restaurant or by the pool in the summer. Apple Hotel Gothenburg is equipped to handle groups of up to 300 participants and offer the latest technology to ensure the success of your event. 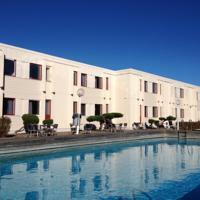 Guests can make use of the well equipped gymnasium and an outdoor swimming pool in the summer. 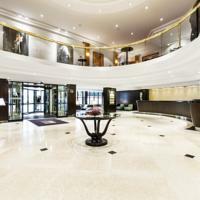 The Elite Park Avenue Hotel in Gothenburg is a business hotel located 25 kilometers from Goteborg's Airport. Ideally situated in the downtown area, Elite Park Avenue Hotel will afford guests to explore Goteborg's links with the sea, which can be traced back as far as the 10th century, when Viking fleets made the mouth of the Gota River their rendezvous. The nearby Gothenburg Art Gallery has works by Rembrandt, Rubens, Van Gogh, Picasso and the celebrated Swedish artist, Carl Larsson. Slottskogen Goteborg's largest park has retained a natural appearance and contains the zoological park, a children's zoo, the Natural History Museum and restaurants. 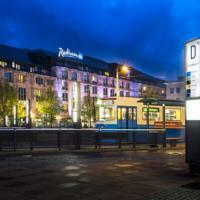 The Radisson Blu Scandinavia Hotel in Gothenburg is a modern, five-story structure located in front of the main railway station in the city center. The hotel's location provides easy access to the city's business and cultural attractions; the art museum and harbor are within one kilometer, and the conference center and arena are less than two kilometers away. 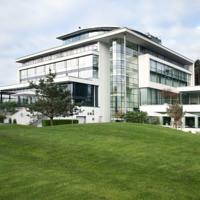 Gothenburg Lanvetter Airport is 25 kilometers or approximately a 30-minute drive from the hotel. The Radisson Blu Scandinavia features a fitness center (fees apply), with an indoor pool, gym, solarium, sauna and hot tub, and spinning classes are available. Located in the hotel's glass atrium lobby is the Atrium Bar & Bistro, offering international and Swedish cuisine. The Sankt Jorgen Park Resort is located in Gothenburg, Sweden, six kilometres from Varldskulturmuseet and seven kilometres from Liseberg. The Nordstan shopping centre and Goteborgs Opean are both located five kilometres away from the hotel. This hotel has a golf driving range and a gymnasium with fitness equipment. There are outdoor and indoor swimming pools and there is a health spa which has a variety of saunas at different heat levels and with different fragrances. Guests must be at least 18 to enter the spa; children 13 and older are allowed with an accompanying adult. Sankt Jorgen Park Resort has a bar which has a pool table and serves light meals. A la carte dishes are served in the hotel restaurant and the golf restaurant. The St Jorgen 18-hole golf course is situated next to the hotel. Assuring comfortable accommodation and friendly atmosphere, this property is an ideal place for business as well as leisure travellers. Located in the northern central Gothenburg, Spar Garda Hotel is within the walking distance from the Liseberg Amusement Park, Ullevi Arena, Swedish Exhibition Centre and the city centre, while the airport is 25 kilometres away. This property offers 170 beautifully decorated guestrooms that are elegantly furnished with an array of contemporary amenities to satisfy the needs of discerning travellers. Start your day with a scrumptious breakfast served at the hotel. The on-site dining room serves delicious cuisine for you to feast on. You can sip your favourite drink as well as relax in the cosy atmosphere of the tastefully designed bar. At leisure, get energised at the well-equipped gymnasium or pamper your senses at the sauna. Boasting a pleasant ambience and comfortable accommodation, this property is an ideal place for business as well as leisure travellers. 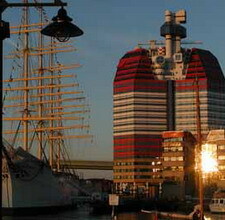 Located in the western Gothenburg, Spar Majorna Hotel is just 5 minutes drive from the city centre. The green Slottsskogen Park, Volvo plant on Hisingen as well as the Stena Line ferry terminals are the major attractions in Gothenburg. The hotel offers comfortable guestrooms that are tastefully decorated and skilfully furnished with several modern amenities to make your stay a memorable one. Start your day with a scrumptious buffet breakfast served at the hotel. The on-site dining room serves delicious cuisine for you to feast on. After a tiring day, you can unwind at the cosy bar with a refreshing drink. At leisure, you can pamper your senses at the sauna or relax at the lobby, which is also an ideal place to meet friends.